Evil has been with us since the day mankind welcomed Satan into the Garden of Eden. 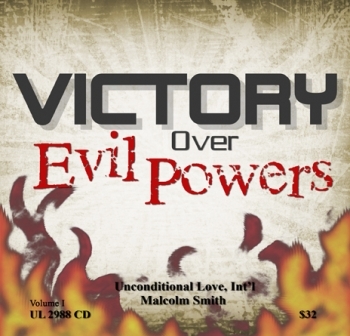 The Bible records the presence of evil and triumph of the believer in Christ over it; but it also speaks of the evil day - a time of intense darkness throughout history and our personal lives. We are living in such an evil day when evil is applauded and parades with arrogance across the earth. Like a poison gas it invades governments, personal lives, families, communities, the education system, the world of business and economics. It is with us in false religion and has crept into major Christian denominations bringing spiritual blindness and death. The Gospel makes it abundantly clear that Jesus was manifested to destroy the works of the devil; it also warns us that the devil is like a roaring lion on the hunt. What did Jesus do in his death and resurrection? Are we missing something? Does Satan have power today? What is it that Satan lost at the resurrection of Jesus from the dead? Is there a part that we play in bringing about the downfall of evil? What is the authority of the believer - do you know your authority over the powers of darkness and evil? Have you ever been taught to use it? How do we live in midst of neighbors and fellow believers who are terrified and hopeless in the face of evil? What is the ultimate temptation that we face in such a time of evil? What kind of praying is needed for these days in which we live? We must learn the power of standing with other believer's rather than alone. This series was recorded at the 2013 December Retreat in Bandera, Texas.